NWA provides services across the entire waste value chain, from collection of solid and liquid waste types, to treatment and recovery of waste streams and beneficial reuse of resources. Road sweeping Our first-of-its-kind, DER-licensed Waste Handling and Transfer Station in the Pilbara focusses on sustainability and environmental solutions, including minimisation of long haul transport requirements, and recovery and reuse of waste streams. General waste, food organics, paper and cardboard, commingled recyclables, liquid and hazardous waste, electronic waste (e-waste), clinical and quarantine waste, and confidential product destruction. NWA provides an extensive range of skip bins, waste bins and containers. Our fleet of local vacuum tankers provide our clients with a timely and cost-effective liquid waste collection. Using locally sourced, job specific equipment and fully trained operators means we can provide supervision and crews when required. NWA employs friendly call centre representatives who are dedicated to providing our customers with an efficient service. Our call centre is based locally in WA. 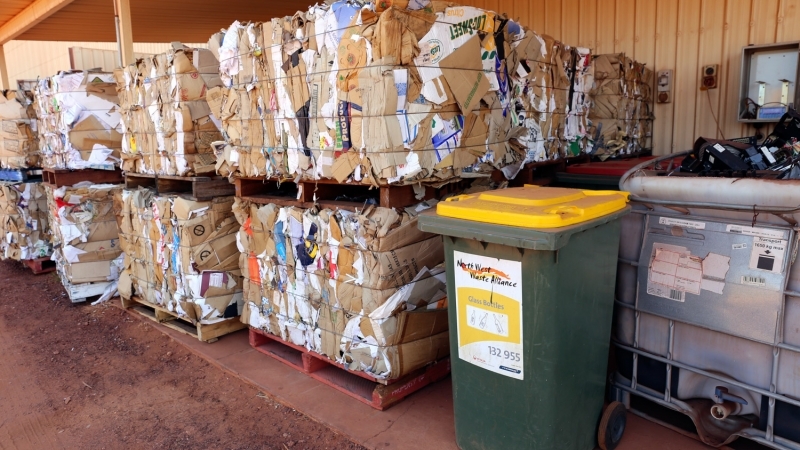 NWA offers monthly waste and recycling contract performance reports that track waste volumes, landfill diversion rates and expenditure, and also report on waste-related Greenhouse Gas Emissions. NWA provides a range of advisory, training and education services including our ‘Getting Wise About Waste’ educational program. NWA offers a tailor-made waste and recycling collection service for a wide range of liquid and solid waste streams. Our on-site waste assessments allow us to identify waste management practices in person, and then introduce a holistic solution to suit day-to-day operational requirements. Our equipment is suitable for a large range of waste volumes, with rearlift, frontlift, bulk bins and compaction systems ideal for commercial clients. 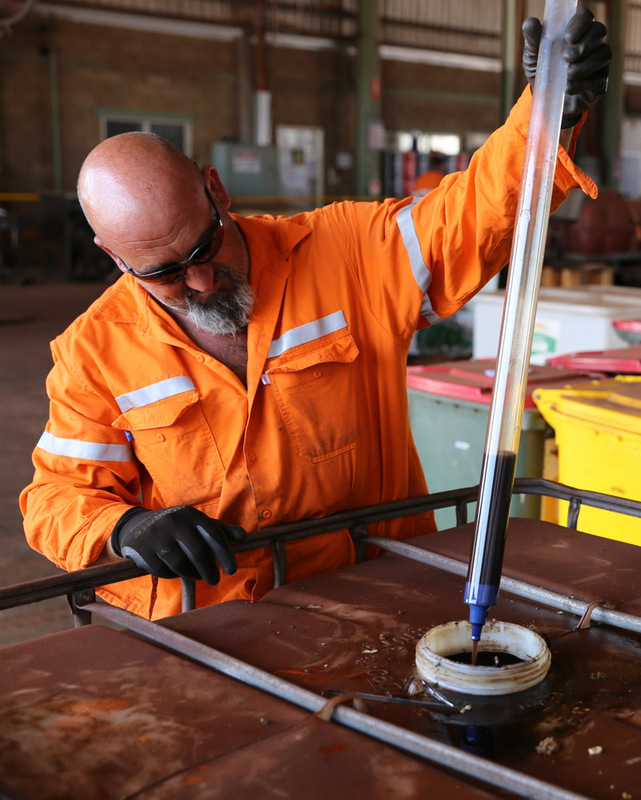 NWA provides integrated hazardous and contaminated waste identification, collection, treatment and disposal services for a range of commercial industries across Australia. We deliver fast, thorough and legislatively compliant solutions, coupled with the extensive knowledge of our highly trained and experienced people. ‘Getting Wise about Waste’ is our waste and recycling educational program, offering simple, effective and engaging ways to communicate with various stakeholders. The pinnacle of this program is a fully interactive e-learning system titled eduPortal. NWA has a unique Greenhouse Gas (GHG) Estimator to help Australian businesses understand and minimise waste-related GHG emissions. The GHG Estimator provides customers with a waste stream-by-stream breakdown of GHG emissions for existing services, and also demonstrates the positive GHG impacts from diverting waste to resource recovery.